Leo Brown wins Opti Green Fleet at Auckland Champs! Home/Academy/Leo Brown wins Opti Green Fleet at Auckland Champs! 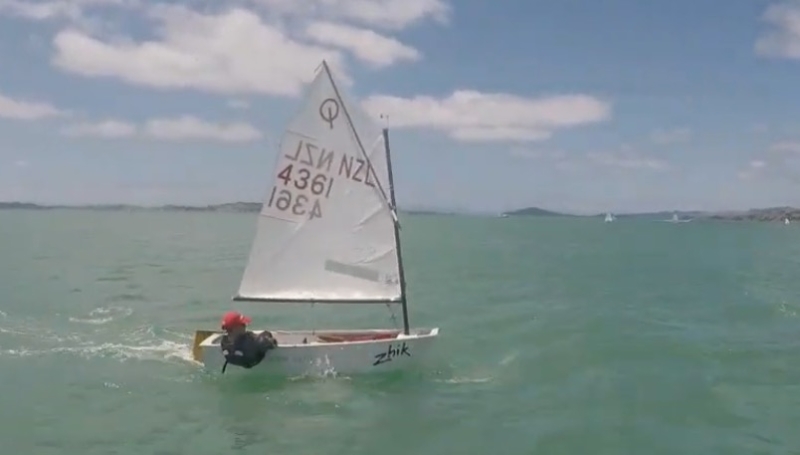 Akarana Sailing Academy sailor Leo Brown has won his first regatta by taking out the Optimist Green Fleet at the Auckland Championships hosted by Maraetai Sailing Club over the weekend of the 26-27th January. Leo had a very consistent regatta with taking for the final two races of the regatta. Logan Ross, another Akarana Sailing Academy sailor finished in 4th place and also won two of the races. Congratulations to all the RAYC sailors who took part. Check out the official report below. The Maraetai Sailing Club are interested in hosting more regattas and, on the evidence of the weekend, are well placed to deliver top-quality events. Maraetai hosted the three-day Barfoot & Thompson Auckland Championships over the weekend, which also incorporated yesterday’s Ports of Auckland Anniversary Day Regatta. As many as 210 young sailors in 190 boats competed on three race courses. The club also hosted the Auckland Championships in 2016, and was believed to be the largest regatta run out of Maraetai. “Congratulations to Maraetai for hosting such a successful regatta,” said Yachting New Zealand regional support officer Raynor Haagh, who helped out the green fleet race committee on day three. “They were really efficient with getting the boats on and off the water each day and delivered a great event for the sailors. 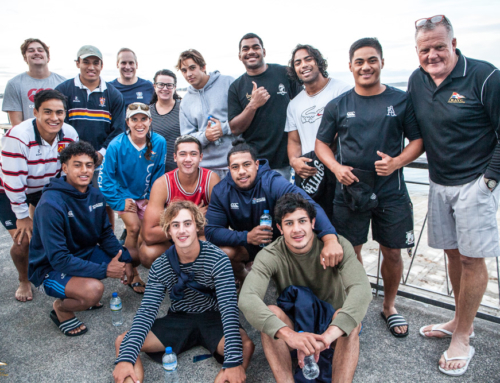 As well as competitors coming from as far afield as Christchurch, Nelson and Napier, neighbouring clubs like the Kohimarama Yacht Club, Howick Yacht Club and Bucklands Beach Yacht Club assisted with equipment and logistics. 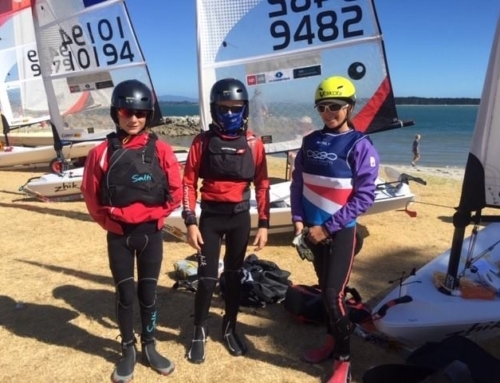 The competition was fiercest in some of the smallest fleets, especially the 29er where the Auckland Sailing Championships was being used as trials for the NZL Sailing Foundation Youth Team to compete at this year’s youth sailing world championships in Poland. Scores from this weekend’s Oceanbridge NZL Sailing Regatta will also count towards selection. Campbell Stanton (Murrays Bay Sailing Club) and William Shapland (Kohimarama Yacht Club) hold a four-point advantage over Eli Liefting (Royal Akarana Yacht Club) and Jack Frewin (Howick Yacht Club) in the 29er. Sophi Fyfe and Holly Liefting (RAYC) were the only all-girls team competing and were eighth overall. Seb Menzies and Blake McGlashan (MBSC) beat Mason Mulcahy (MBSC) and Andre van Dam (Worser Bay Boating Club) by seven points in the 420. Sydney Cunliffe (Lake Taupo Yacht Club) and Rebecca Hume (KYC) were third overall and first girl’s crew, 10 points ahead of the Wakatere Boating Club pair of Kiera and Leah Sinton. The RS Feva dished up some close racing even though there were only five crews. Josh Hyde and Zach Fong (WBC), who were racing in their first regatta together, edged the Akarana pair of Simon Cooke and Oskar Masfen by two points, with Nicholas Drummond and Blake Hinsley (BBYC) a further six points behind in third. The Optimist open fleet was the largest of the regatta with 78 boats and George Lee Rush (WBC) dominated racing, finishing a whopping 29 points ahead of Noah Melpot (Nelson Yacht Club). Leo Brown (RAYC) took out the Optimist green fleet by 10 points over Hannah Williamson (WBC) and Quinn Kusanic (Bay of Islands Yacht Club) won the Starling by five points over Lachlan Dillon (Tauranga Yacht & Power Boat Club). The best-performed sailors on day three also took out the Auckland Anniversary Day Regatta, and their prizegiving will be on February 19 at the Royal New Zealand Yacht Squadron.